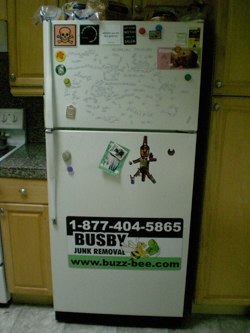 Here you can find pictures and information on past refrigerator removal projects completed by Busby Junk Removal. If you need Busby to pick up a fridge, remove it from your property and dispose of the old refrigerator properly please give us a call at 1-877-404-5865 or click on the book onine link below. 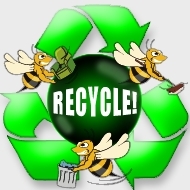 In addition to the volume charge there is a $35 freon disposal fee due to special recycling needs. Alternative refrigerator removal rates apply to commercial refrigeration units, please call for more information.